Artists welcome here. Photo by Lance Brewer / A-Z West. Lately, it feels like everybody is talking about and going to the Mojave Desert. Maybe it's because it has a far-away feeling but has the creature comforts urban wanderers seek out, i.e. excellent stargazing is paired with solid saloon drinking and vintage shopping. 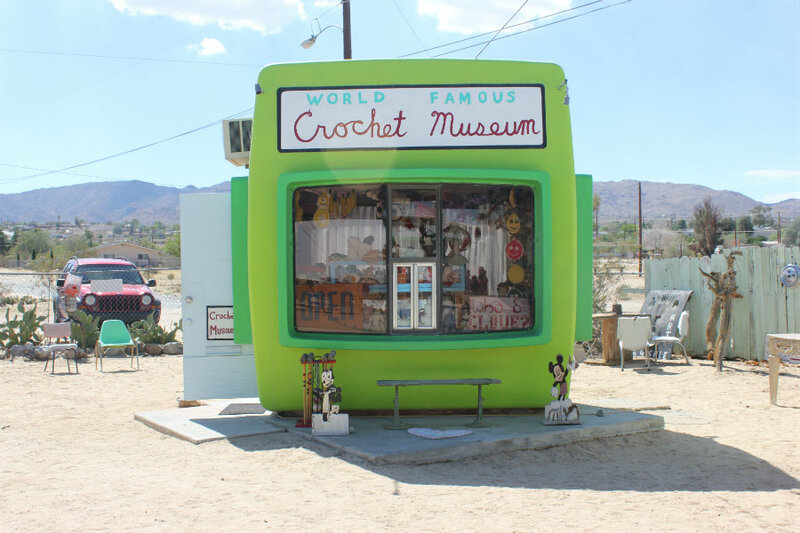 Ruby Nichols, who runs the chic , just launched a virtual pop-up shop to Joshua Tree on her site, collaborating with local designers to offer small-batch, custom items from the area. Here are the places she scouted on her many trips to the California desert. has always been about celebrating creative communities and the local talent within them. My dream since the inception of my website was not only to offer a platform for discovering these special communities, but to take it a step further and allow people to support them by shopping small. My dream has finally come true, and AOS is the first location-based, online pop-up featuring a new neighborhood each season. We collaborate with local designers to offer custom, limited-edition pieces made exclusively for AOS, as well as curated collections from local boutiques. I'm thrilled to present our first market from Joshua Tree, California. Before covering it deep for AOS, I had only visited Joshua Tree a few times, but I quickly learned that desert magic is real. The allure of the landscape is nothing new, especially to artists who have long basked in its vastness and quietude, seeking to create in perfect harmony with nature. Joshua Tree has long been the modern Wild West, a home for America's counterculture crowd. While much of the art created here is on the edgier side, anything goes. There's room for it all, and that's the magic. I tapped Cody Montgomery, Joshua Tree local and founder/designer of conceptual clothing line , for his insider's guide to the area. These spots are legit! A museum fit for the desert. Photo by Ruby Nichols. 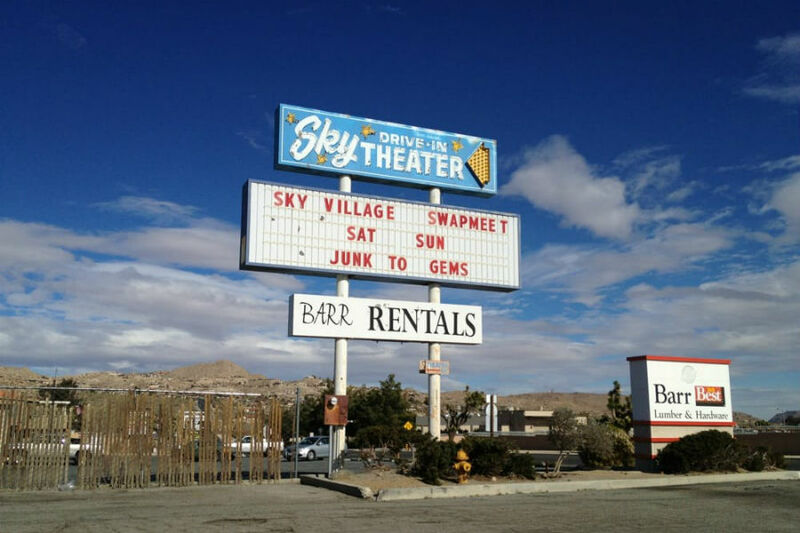 Probably one of the quirkiest, most authentic places in the High Desert. Shari Elf is definitely the long-time reigning Art Queen specializing in funny screen-printed vintage pieces, original painting and the curation of the museum. An outdoor desert sculpture park a few miles north of Joshua Tree with more than 100 works on ten acres of the desert floor. It's a great place to get inspired by desert junk, take crazy photos and make a donation to its preservation. Recently, the entire installation was transported to LACMA. Andrea Zittel is by far the most successful contemporary female artist in the High Desert, but also one of the sweetest. 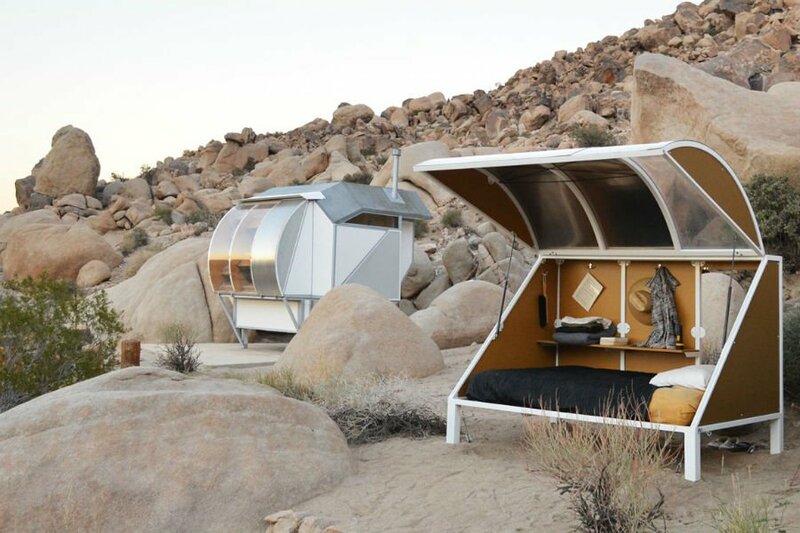 She has an artist residency during the cooler times of the year at her A-Z West facilities, where artists can stay for free in her minimally designed tiny living pods. Well worth a visit for anyone interested in moving and shacking up in the art world. Because A-Z West is a private residence as well as the site of a full-time studio practice, visitors may not show up on A-Z West grounds unannounced or without an appointment under any circumstance. Bobby Furst is a High Desert legend and looks like one of the missing members of The Rolling Stones. He is also a talented sculptor and an extremely generous community member who has created a magical art scape of Quonset huts, trailers, and assemblage art. It’s a bit of a secret spot up by the National Park entrance in Joshua Tree. If you catch wind of a show, be sure not to miss the experience. Donate generously. Minimal and earthy. Photo by Ruby Nichols. 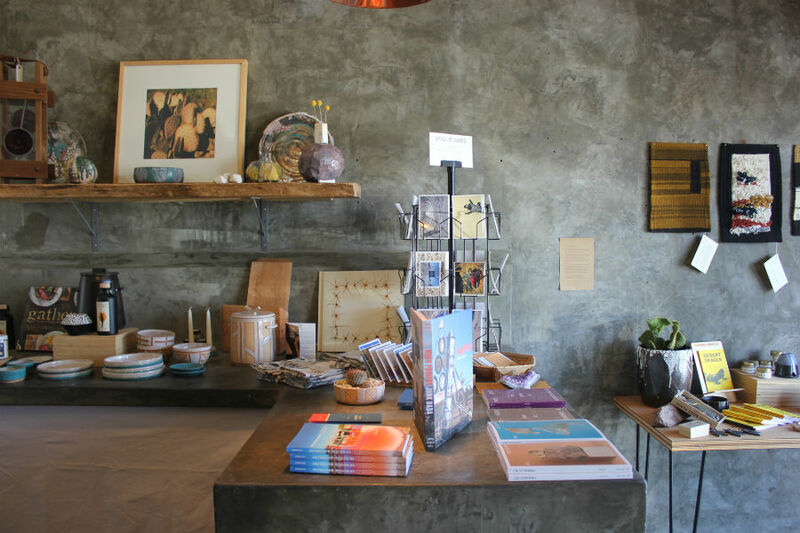 Local ceramicist Brian Bosworth, along with his wife Jamie, recently opened a beautiful and well-curated shop in downtown Joshua Tree featuring his minimal and earthy ceramics and an assortment of other home goods and art books. Sound bath healing: another staple of the Josua Tree experience with an incredibly bizarre history if you’re open-minded enough to go there. Schedule a quartz bowl healing session well in advance and be prepared to lay down for a while afterward for a deep reset. Then get directions to Giant Rock, the largest free standing boulder in North America that also ties intently with the backstory of the place. One of the newest and best galleries around hosts an impressive repertoire of great art and kickass musical acts. Definitely the place to be on Art Walk every second Saturday of the month. Owned and often operated by the fashion icon Kime Buzzelli. Stop in for new and vintage designs specializing in women’s clothing and accessories. You can’t miss the colorful eyeball mural on the side of the building by contemporary artist Elena Stonaker. Truly a far-out place. Easily the most authentic High Desert bar way out in Wonder Valley. Owned and operated by the Sibley family, who also have a rocking band and host lots of fun weekend shows and festivals. They also have a great, old-fashioned brunch where you can expect to pay next to nothing to make up for the extra time in the car. Be sure to also check out their unattended bookstore across the street. Find the funk. Photo by Mike S. / Almanac of Style. The most authentic shopping experience around. Open every Saturday and Sunday in the morning: Wander around the super funky old stalls and tailgates, Dakota Bob's cowboy shop, the incredible Crystal Cave, and the High Desert Test Sites stoop. One of the newest and best French restaurants, specializing in weekend brunches. Open Thursday through Sunday. Everything is delicious and the decor is artistically modern. Get there before the weekend hits for more of a local scene and less of a wait. Just about everyone and their brother have heard about it by now…but for good reason, as it is the quintessential music venue and historic saloon. In the heart of Pioneertown, expect wild west cowboy vibes and a contemporary music hipster scene all at once. Sad to say, but the local flavor is being slowly replaced by an increasingly older and more boring crowd. But go there on Monday nights for the locally dominated open mic. The new, cool coffee shop in town located in Old Town Yucca Valley. Grab a drink, order the vegetarian tartine, pop on a record, read a book, or catch some local musical talent on the weekends.